Wow, this collection has certainly brought my blogging mojo back.. I was literally grinning like a fool at the palettes because they are so amazing. I went to the Spring Collection launch today – I say spring, but actually, these go on counter on 2nd January (in Selfridges) and a couple of weeks later nation wide, so it isn’t too far away really. So, the collection is based on Dior’s garden in Granville, Normandy. The story goes that the house, on the edge of a cliff, was buffeted by wind and generally lay in inhospitable terrain for any kind of plants, never mind delicate flowers. 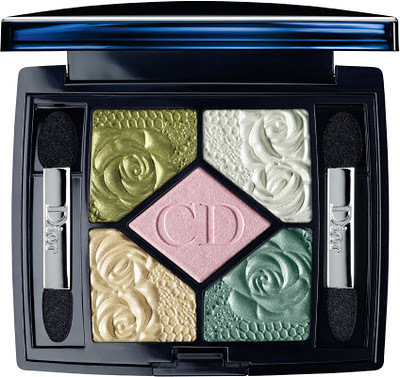 But, a little determination and some years later, Christian Dior managed to grow a beautiful, lush and flowering garden, and in particular loved his roses. 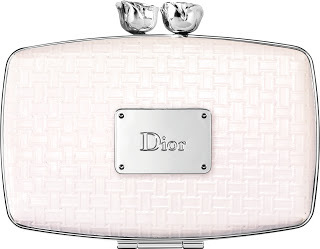 Dior Garden Clutch comes in two colourways: Milly Garden (silver/pinks) and Granville Garden (green/peach). The lip shades are sectioned by a silver door which closes over them when the clutch is shut. The clutch is hand finished. 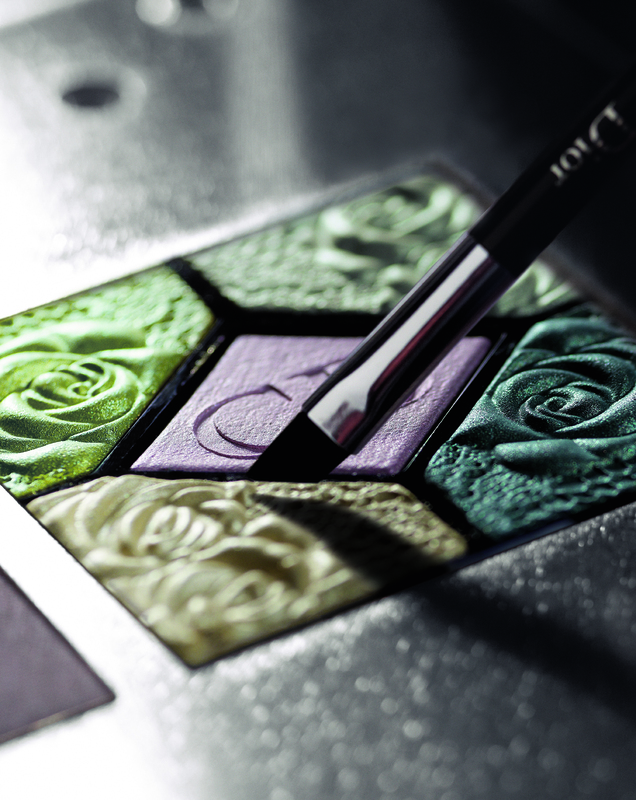 5 Couleurs Palette Garden Edition comes in two colourways and is limited edition. 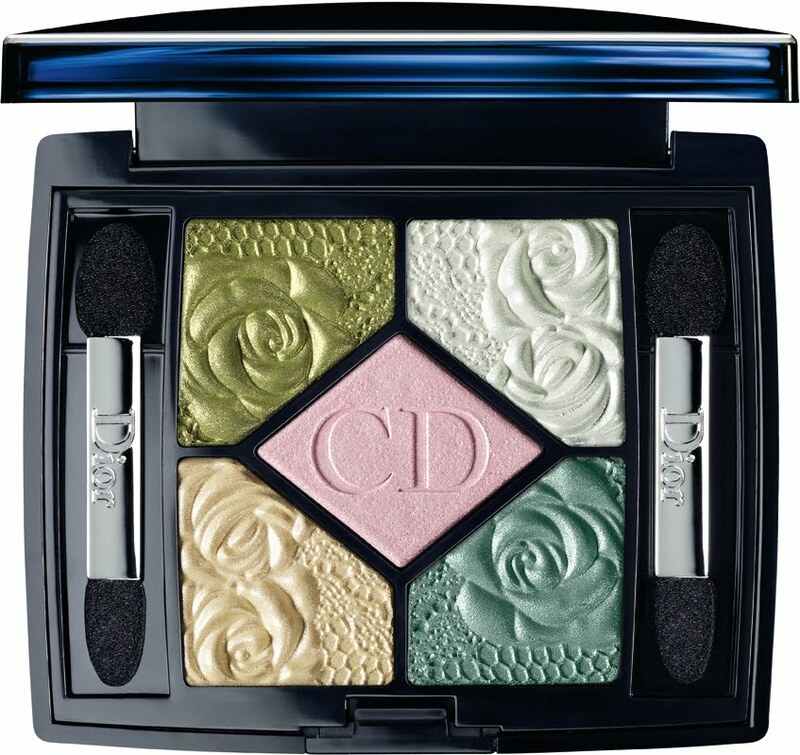 The shades are so intense and so spring-like – this is really what my dream palettes are made of. The embellishment of roses is apparently hand-done and I’m trying to find out exactly what the process is to achieve it. Dior Vernis Garden Party I adore both these colours; but even more love the fact that they’re scented with rose. 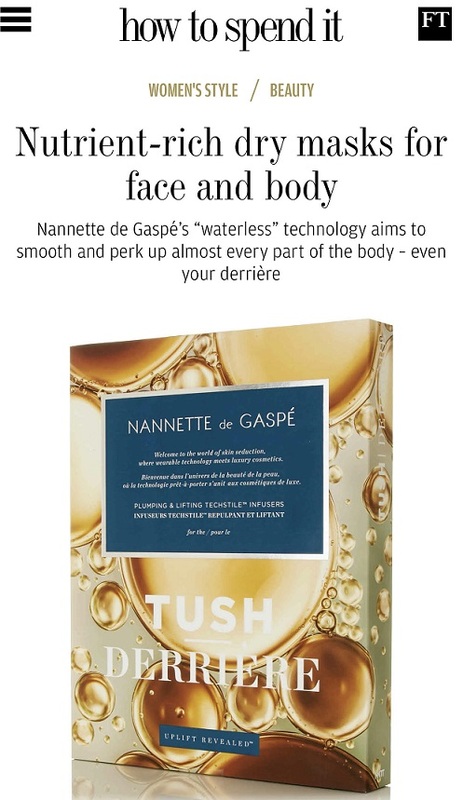 Rosy Glow works in the same way as those gel blushers that turn a different shade on everyone and rely on the heat of the skin to change colour. 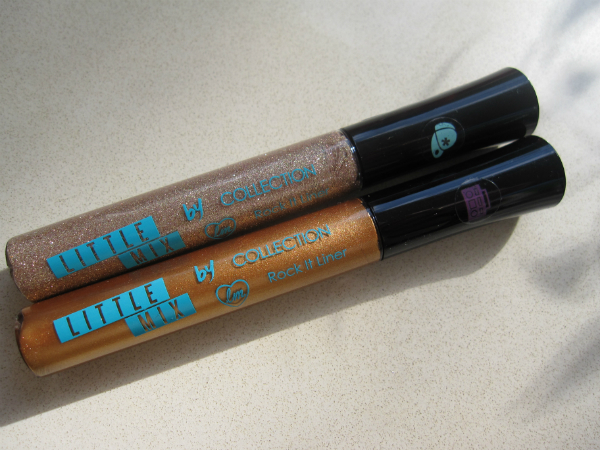 The difference here is that a) it’s a powder version, and b) it’s ridiculously gorgeous. 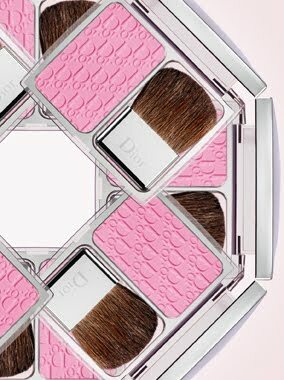 Dior Ultra Addict Gloss comes in three shades for this collection (there are also two new shades of Rouge Dior lipstick and Rouge Serum although it’s not clear if the Rouge Serums and glosses are new shades). I’ll blog the lipsticks and the 3 Couleur Palettes on another day. 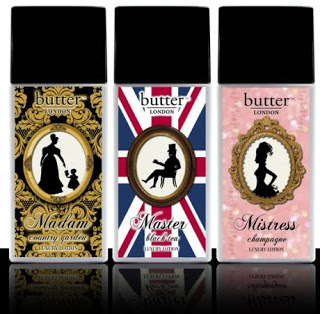 There are also some clever heated lash curlers coming out on limited edition, a new fragrance, and new skin care.. all for later posts. 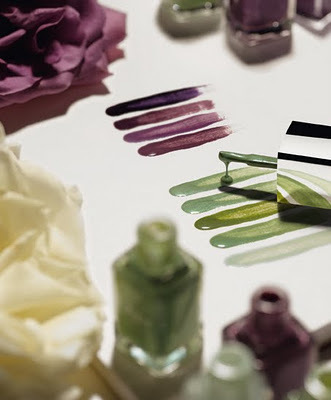 I could not love this collection more; this is what premium beauty should be about, always offering a beautiful back story, a genuinely exciting product and visually stunning pieces that just make you want the whole damn lot…like NOW! 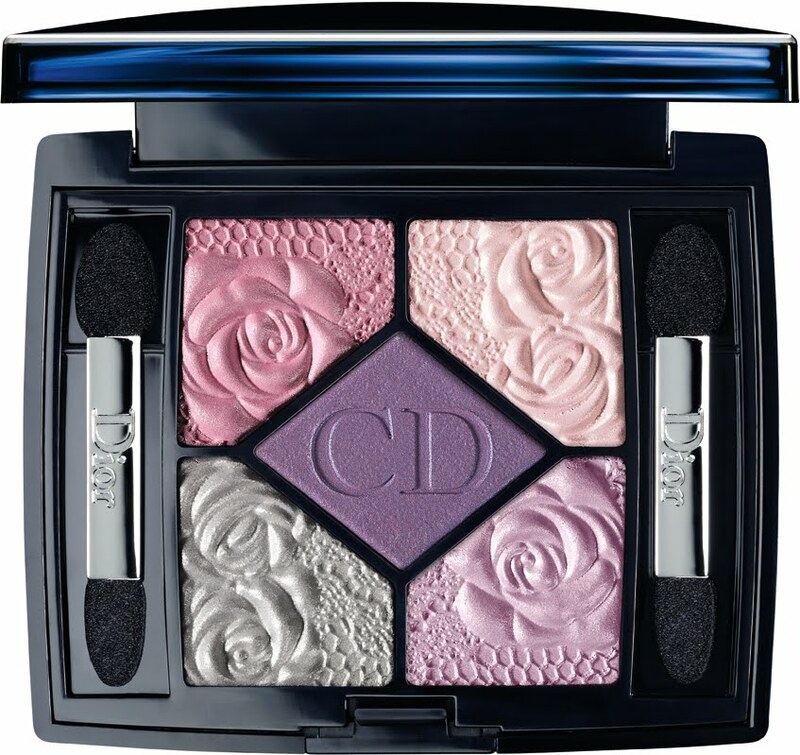 Dior’s limited editions are notoriously collectable; I’ve heard stories in the past of someone putting the last one of a previous collection on hold in a store on the Isle of Wight and travelling over there to get it! That’s dedication for you. oh flip! 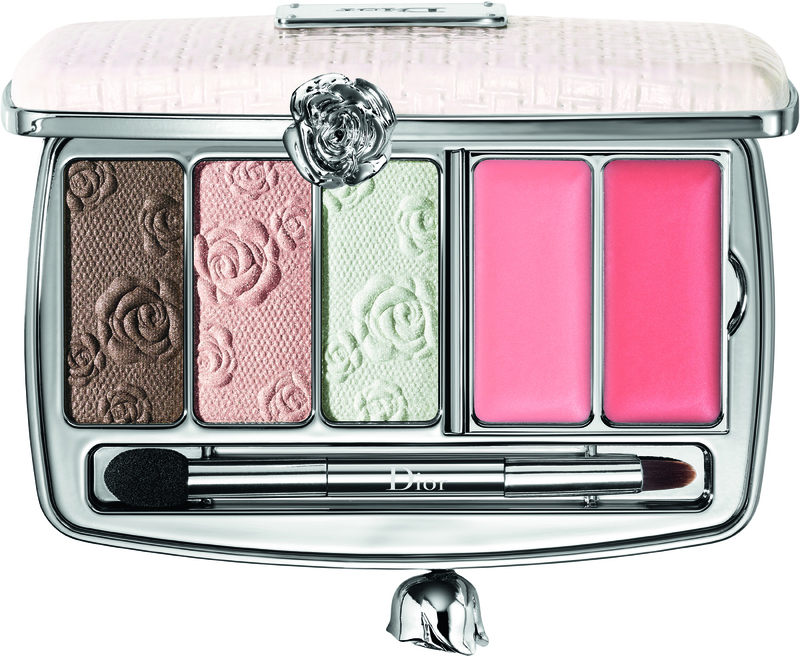 i especially love the granville garden palette and as for those peachy glosses.. and i dont even wear gloss! Wow! These are like little works of art. So pretty. The palettes are SO gorgeous! Okay, I’m done with holidays now, bring spring on! oh. my. god. this collection looks AMAZING. i haven’t been this excited for a collection in ages. thanks for sharing these pics! I didn’t buy any lipgloss for the past few years but rose pretty made me change my mind ! This really is a stunning collection. 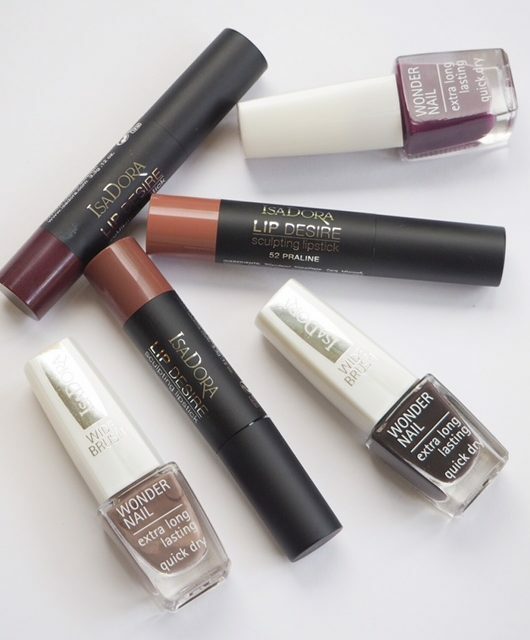 I can’t wait to get my hands on the polishes! I want! I need it! I have to have every piece! It’s all so beautiful. Must haves- the clutches and blush. This is to die for. Literally I might die if I don’t get that greeny coloured palette! oh. my. god. This is unbelievable, i need them all!! Gezz Spring is going to be expensive… I nearly had a heart attack!! 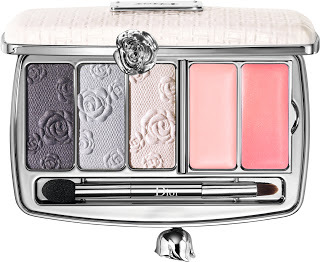 I don’t even like green eyeshadows but Garden Pastels Harmony looks gorgeous! Kind of wish they included a blush in the clutch instead of glosses though. 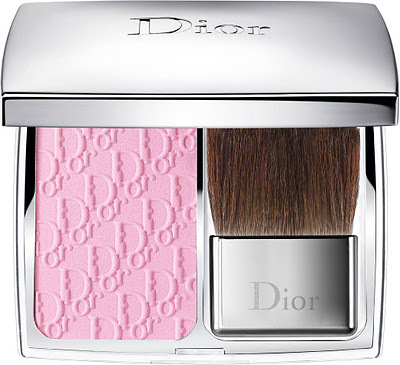 Ahhh, I LOVE Dior Garden Party! 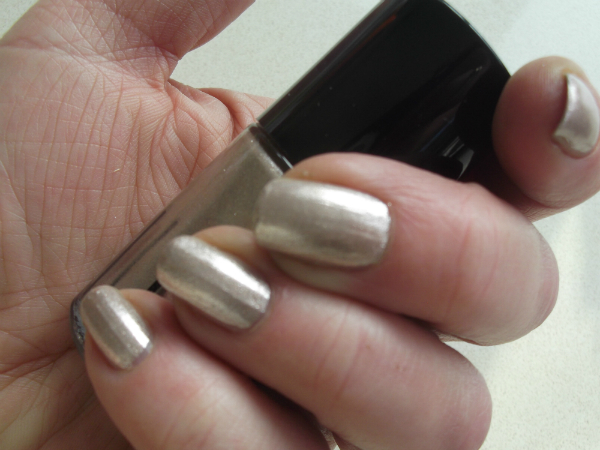 I think I need one of the clutches and Forget Me Not nail varnish. So pretty! How gorgeous! Those eye palettes are divine. 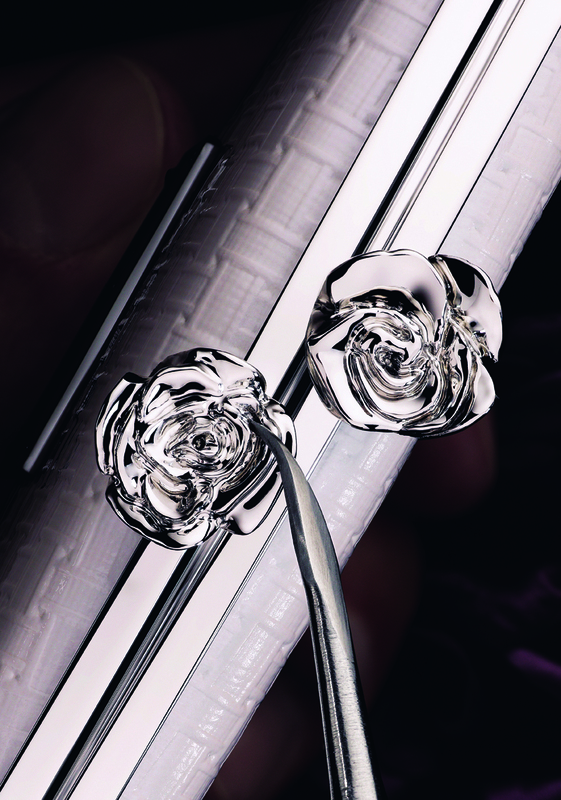 The collection is simply divine and refreshingly original. I’m definitely looking forward to seeing it on the counters in spring! OMG! I’ve just mentally spent hundreds, and even got an imaginary call from my bank manager. These are all just so pretty, I want them all, even though many of the colours won’t suit me at all. LUST! Aiyee, these are AMAZING. I hope the US gets all of this, those clutches are fab and if they do have a separator for the gloss, I’m sold. *gasp* This collection is beautiful. I really like the pastel quad, blusher and polishes! Ahh I need to save up! You’re right. I want the whole lot NOW! Dior fall collection is disappointing and the holiday items are so so. But this is beyond gorgeous. They’re art! For a long long time, I’m craving for something because the design is absolutely stunning. omg you have just made me want to buy the entire collection! oh dear…!! I don’t know which I love more, the product or the packaging. Absolutely gorgeous. Usually with premium beauty I think ‘Meh, out of my league, move on’ but there’s something about this collection, especially the clutch. It looks like a clutch bag my nan had, and that’s enough to make me want one. 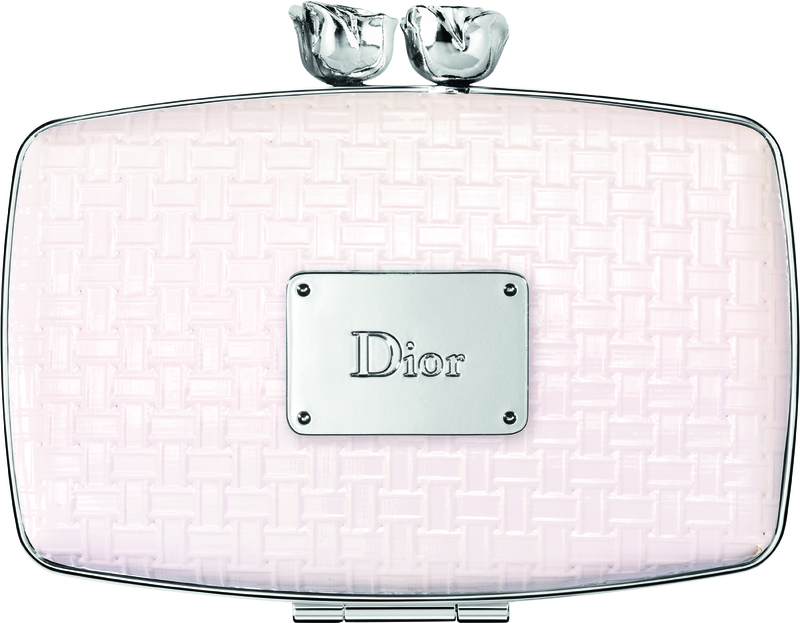 I’m excited about the new fragrance too, as Dior fragrances are my absolute favourite. OMG Absolutely gorgeous….I’m going to be so broke especially with the Chanel Holiday Collection and the limited edition No5 foaming bath oil!! Pure gorgeousness! I am going to blog about this too, and link back to you. I am in love with the clutch! 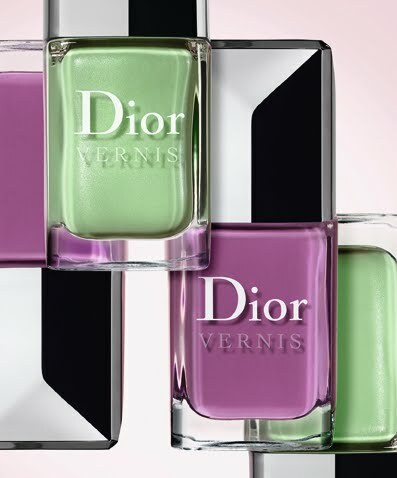 I am loving the colours for Spring 2012. I can’t wait. 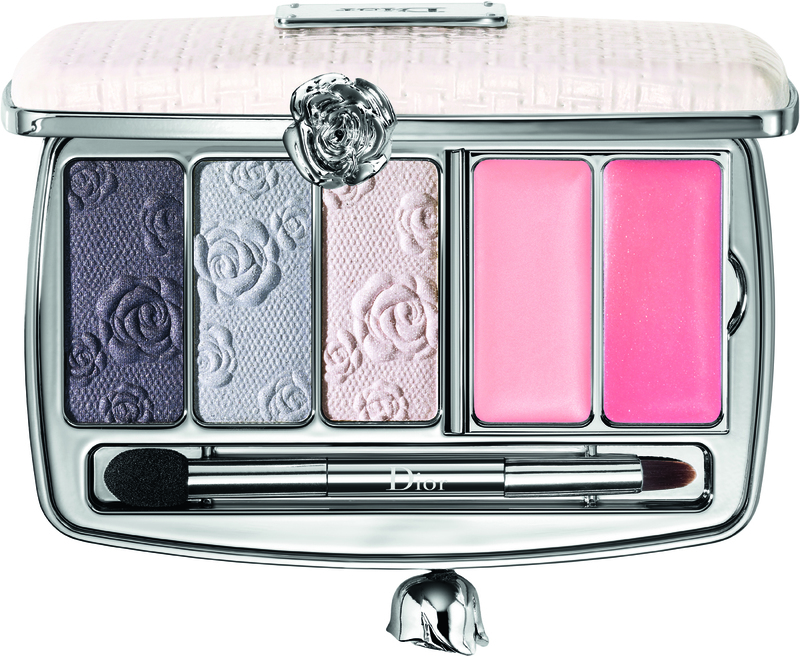 Those eyeshadow quints are so gorgeous, but the colours don’t look like anything I don’t already have. I am however in love with all of the glosses. I will be getting at least one! Got a sneak preview of the eye palettes today at Debenhams the SA had just brought the display ones up from the store and I can confirm the eye makeup palettes are all utterly gorgeous! I saw the 2 5 coleurs and the make up parts of the 2 clutches. I liked the purple nail polish too but not the green one. On sale 16th Jan and I can’t wait! I love those eye shadow compacts they are gorgeous! 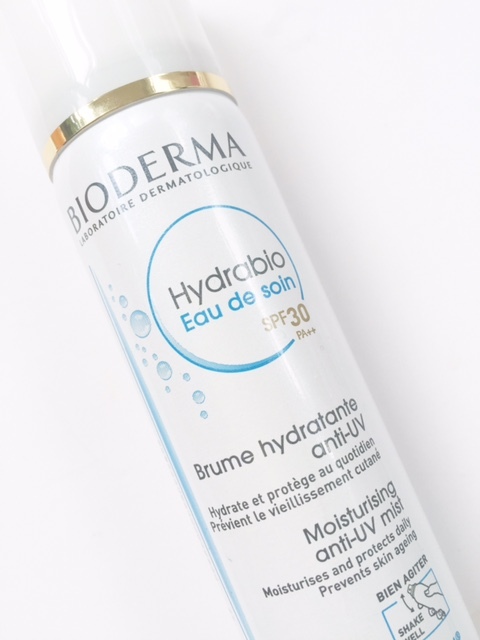 great beauty must haves! Love this post – and your blog. Hope you don’t mind I’ve mentioned the story and you on our beauty pages.